This set like in a treasure box, has every accessory for your fishing enjoyment. 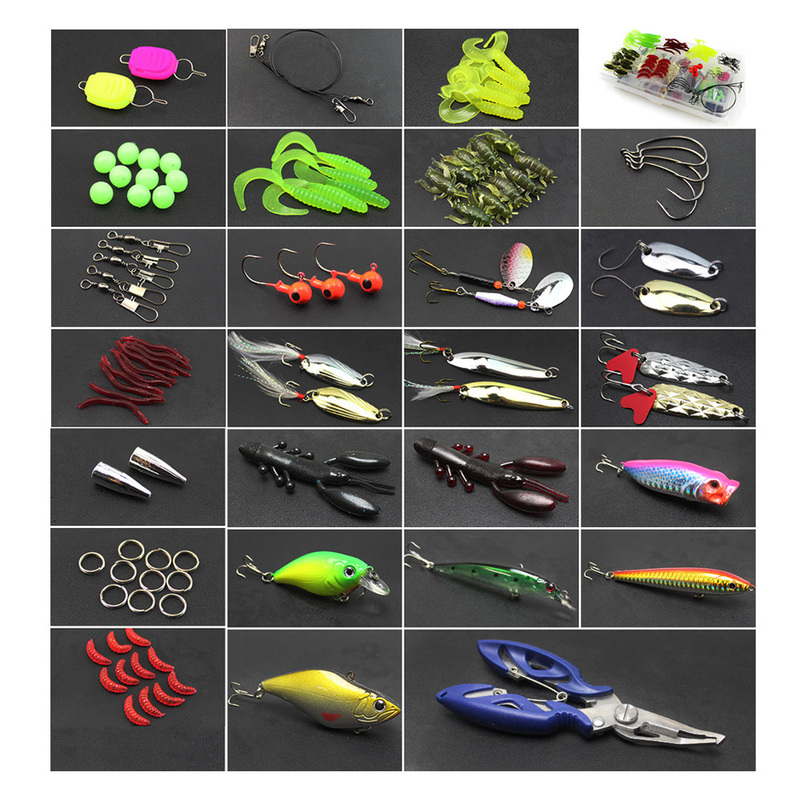 Include hard plastic baits, soft silicone baits, sequin lures, fishing pliers, guide rings, fishing hooks and other accessories, 100 pieces in total. Note: The colors of fishing lures inside box are randomly delivered, but their kinds are identical to those in pictures.